“In 1981, a Western New York native says a man he trusted, did the unthinkable at a Catholic church in Lewiston. That survivor came forward Thursday, over the phone. We’ve identified him as “John Doe” because he doesn’t want to reveal his identity. He says the abuse happened when he was 11. Now 48, he’s finally ready to share his story publicly. “I hope that in telling this story, that others also have the courage to tell their story,” said Doe. 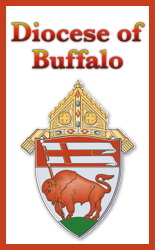 The alleged abuser in this case is missing from the list of 42 accused prieststhat was released by the Diocese of Buffalo in late-March. That list came out after a settlement program for survivors of past abuse. But in order to be considered, those survivors would have had to come forward by March 1, 2018. “I notified the Diocese of Buffalo of John’s claim on March 19th, 2018 and we’re waiting for a response from them to determine whether they’re gonna honor John’s claim,” said Doe’s attorney, Mitchell Garabedian. It was after that confession decades ago that an 11-year-old altar boy in Lewiston says he was abused by a Diocese of Buffalo priest. “I had asked to have a confession, and after the confession he sexually abused me,” said the man, who was identified Thursday as “John Doe” at a news conference in Buffalo, where he spoke by telephone to reporters. The church was St. Peter in Lewiston. The priest: Father Joseph Rappl. That 11-year-old altar boy is 48 now. Even decades later, he is too ashamed to give his name. The man came forward Monday with the help of Dr. Robert Hoatson, a former priest who helped blow the lid off the sexual abuse scandal in February and who vouches for the credibility of the latest victim. “People don’t make this up,” Hoatson said. The man said Father Rappl abused him just once, but it scarred him for life. The 7 Eyewitness News I-Team called Rappl at his home in North Carolina to respond to the allegations, but he did not respond to a message left for comment. After hearing the allegation, the I-Team pored through diocesan church directories and found the timeline on John Doe’s story matched up to Rappl’s assignment history. St. Peter’s in Lewiston was Rappl’s first assignment after his 1978 ordination.. He stayed there until he was transferred to St. Catherine of Siena in West Seneca in 1983. After three years, the diocese sent Rappl to the outskirts of the diocese at St. Mary’s Church in the Orleans County village of Holley. He is then listed as a military chaplain in California, New York, Washington, D.C., and North Carolina. He disappears from the directories in 2000.